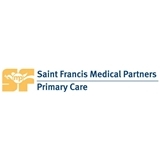 Saint Francis Medical Partners - Summer Avenue (Memphis) - Book Appointment Online! Our Internal Medicine physicians offer healthcare services for all the members in your family -- women, men and . Services include annual health exams, well visits, immunizations, screenings and preventive care. Dr. Kulinski is very knowledgeable and understanding. Couldn't ask for more.